The semiconductor fabrication process involves a variety of source gases and carrier gases. 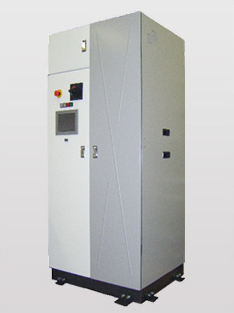 For the fabrication of higher quality semiconductors, our complete line of gas purifiers allows the user to select the optimal solution for the type of gas used. Japan Pionics is a pioneer of gas purifiers with the world’s highest level of gas purification technology and a broad range of technologies acquired through many years of experience. 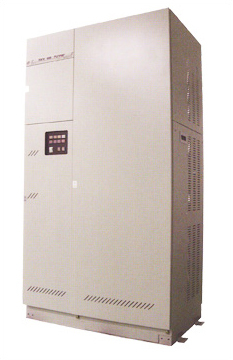 The VP-Series Gas Purifiers was developed by Japan Pionics to deliver the ultimate gas purity and incorporate environmental and safety features that provide security and reliability. The use of an original catalyst developed by our company allows gas purification to high levels of purity. For switching between the purification series, it is possible to set the optimal series switching time for the source gas flow rate and concentration of impurities. Because it is also possible to switch the series based on the total flow, the switching time is longer when lower flow speeds are used, saving energy. Conforms to standards (SEMI, ASME, ML, others). 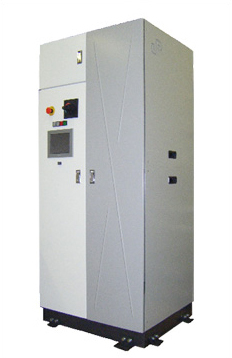 Provides dust-free, ultra-high purity hydrogen with its purification method based on selective permeation through a palladium alloy membrane that rejects permeation of any substance other than hydrogen. Our palladium cell has a long lifetime *1. Ensures great rigidity, high durability and superior hydrogen permeability with fine tubes of a palladium alloy that was developed independently by our company. Ensures great rigidity, high durability and superior hydrogen permeability with fine tubes of palladium alloy. It consistently provides stable, ultra-high purity hydrogen, obviating the need for regeneration. Designed to operate in fully automatic mode. Allows purification of gas to ultra-high purity temperatures with the aid of our originally developed getter. Allows removal of nitrogen(N2), which is difficult with adsorption at normal temperature. Displays the total purified gas volume and the total purification time of the reaction column (getter), allowing the operator to check the remaining purification capacity of the column. 2015 © Marketech Integrated Pte Ltd. All Rights Reserved.